Are Quakers Capable of Planting Churches? 5 years. We’ve been at work here in DC for more than 5 years, trying to start a new Quaker community. For better or for worse, most of what we’ve learned has been what not to do. Church planting is way harder than Faith and I ever imagined. In retrospect, it’s obvious that we did almost everything wrong from the beginning: No institutional support, no funding, no mother church, no experienced mentors, no strategy. Just a freshly minted Master of Divinity degree and a heavy dose of can-do attitude. Many bumps along the road and several iterations later, we’ve actually accomplished quite a lot in our naïve attempts at faithfulness. We have put down roots in our city, gaining a large network of friendships and many useful working relationships. We founded the Friends of Jesus Fellowship, a national network of disciples who are wrestling with what it means to be radical followers of Jesus in 21st-century America. We’re learning what it means to live our lives primarily in the post-churched reality that most of our peers call home, making discipleship relevant outside of the Sunday-morning routine. Despite all this learning, there’s still no Jesus-centered Quaker community to speak of in the DC metro area. The Friends of Jesus here are very small and scattered, and although we still hold Bible studies and gather for mutual support, we’ve accepted that for the time being we really don’t have the critical mass to be a worshiping community. This is sad for me, but it’s also a relief. We’ve struggled for a long time to kick-start a Jesus-centered Quaker congregation here in DC. We’ve burned ourselves out several times. The lows have been pretty low. And after the second or third time of losing all joy in the process, it’s time to take an extended step back. Despite all the setbacks, my main question is still, what’s next? We’ve learned and developed so much over the course of the last 5 years. I personally feel better prepared than ever for whatever work God calls me to. Amazingly, I still believe that God is calling me to the work of laying the foundation of new communities in Jesus. As hard as the last half decade has been, there’s still this sense of conviction and passion that won’t let me go; there’s a fire within me for building up the body of Christ, nurturing leaders who can grow and shepherd new communities. That being said, there’s no way I want to repeat the process we’ve attempted so far. Stepping out into this kind of ministry with no mother church and virtually no institutional support is madness. We owe it to ourselves and to God to do what it takes to make sure we’re well-supported before we strike out again. There’s a reason that most church plants start off with a sizable core, not just one couple trying to gather a community by themselves. They’re wiser than we were. This presents us with a dilemma. The reason that we tried to start a church with virtually no outside support in the first place is that we were (and are) unaware of any existing Quaker network that could have walked with us in this mission. There’s no Jesus-centered Quaker church in the DC metro area that could have nurtured us. As far as I know, our tiny little missional community is the only Christian Quaker presence in the region. After several valiant (if foolhardy) attempts to plant Quaker church in our city, it seems probable that I have been unrealistic in my unwillingness to go outside of the Quaker family for support and guidance in the process of starting a new congregation. For a long time, I was committed to seeing our church plant be wholly Quaker in its origins and support, but now I wonder: Was that wise? 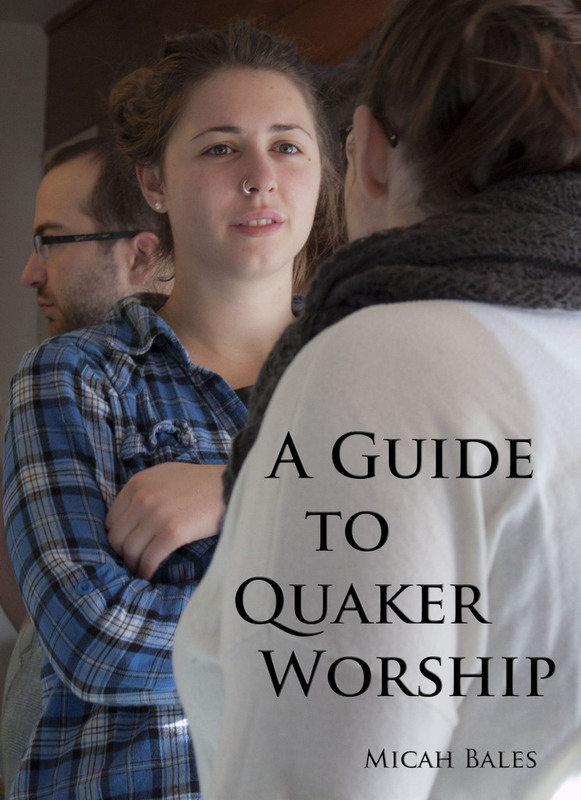 What if Quakers just aren’t capable of planting churches anymore? Perhaps the Religious Society of Friends, broadly speaking, simply doesn’t have the body mass to lend its strength to new efforts like ours. Could it be that the only way for Friends of Jesus to come to life is through integration and collaboration with other, more robust and mission-oriented communities, beyond the Quaker fold? One thing is for sure: I’m not willing to allow Quaker brand loyalty to get in the way of faithfulness. 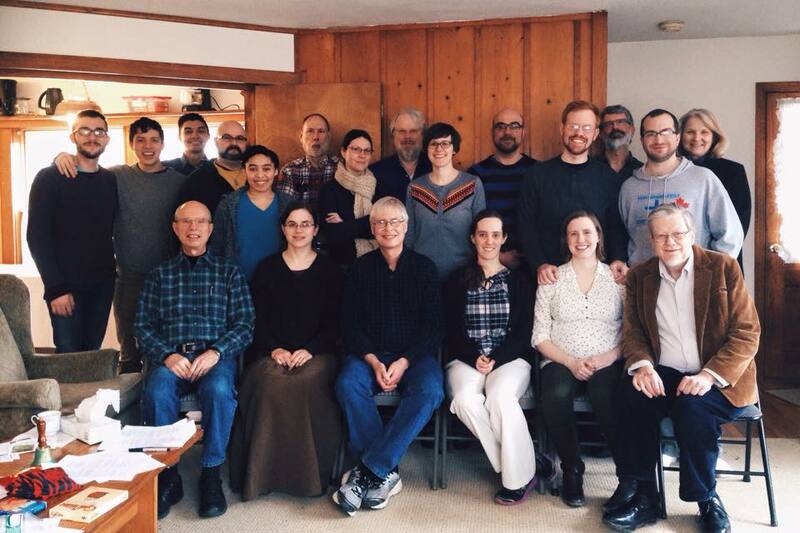 If God is still calling me to participate in the work of founding new communities of disciples, I have to respond, even if it means moving beyond where the broader Quaker family is able to go right now. I have no doubt that God will raise up from these stones children for Abraham, if necessary. What do you think? Am I missing something here? Are there places where Quakers are doing really vibrant work in planting new churches and missional communities? Are there existing projects that we could be partnering with? Or is it time for us to broaden our horizons and be more proactive in joining with other Christian groups that also feel called to develop communities of radical discipleship to Jesus? 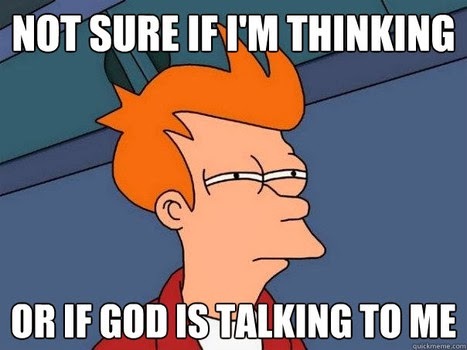 Don’t know how to tell if God is talking to you? It’s a common problem. It took me a long time to understand that God can speak in many ways, many of them far less flashy than the miracles recorded in the Bible. For me, I know God best through a deep intuitive knowing. A sense of truth and rightness beyond words. Still, that’s pretty subjective. It’s often hard to know for sure when I’m receiving a message from God, and when I’m lending way too much credence to my own personal feels. In this post, I’ll lay out some time-tested criteria that Quakers and other Christians use to gain a better sense of whether a message in our lives is coming from God, or another source. The first test is that of moral purity. To carry out this test, just ask yourself honestly: This thing that you think God is telling you to do – would a kind, loving, fair person do that thing? If the answer is no, the message you’re sensing may not be from a divine source. If the leading you’re sensing is morally upright, that’s a positive sign. Still, even good things can be twisted if not done for the right reasons. Another way to get a sense of whether the leading is from God is to see whether it is patient. Urgency is often a sign of the ego, rather than divine calling. Ask yourself: Do I have to act on this concern right now? Is it possible for me to wait? Will this leading still be valid in a day, a week, a month? A third way to test a leading is to examine it in light of Scripture. Does your sense of God’s call mesh with the broad witness of the Bible? This is a complicated matter, because the Bible does not set out detailed instructions on every possible matter of discernment. Nevertheless, it’s good to check whether the leading seems consistent with the general thrust of the biblical witness. For example, leaving your spouse for another romantic partner might seem like a good idea, but a quick examination of the Gospels reveals that Jesus expressly spoke against this. Of course, the Bible is best read and discerned together in community. The church community has produced tradition that can be helpful in evaluating possible divine promptings. It’s good practice to ask: How has your community handled this kind of leading before? Is this the kind of action that other respected members of the community – past or present – have engaged in? Just because a leading deviates sharply from the past practice of the community does not mean that it is wrong, but it is definitely a good reason to proceed with care. Another very helpful test of a leading can be to share it with your community in Christ. Let them bring their discernment to the matter. This can be especially helpful with big leadings that tend to impact the community as a whole. 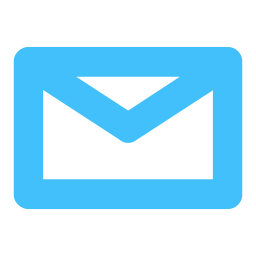 Willingness to submit your leading to the discernment of the church is a sign of patience, which bodes well for the authenticity of the message. One other traditional test for possible divine leadings is whether it crosses our own will. That is, does this leading go against the grain of your personality? Is it something you would like to do for your own reasons, or does it actively contradict your self-will? A leading that calls you to confront your fears and engage with people and situations you would normally avoid is more likely to be genuine. I’ve found these tests for useful in my own discernment, but there is no silver bullet. All of them can be gamed by the ego, whether the individual’s or the community’s. However, by taking the time to test our sense of God’s leading in these ways, it’s more likely that we’ll hear and respond in a way that brings us closer to God and blesses our life together. How about you? What ways have you found to tell the difference between your own ego and the will of God? For a long time, I thought that fundamentalism was a right-wing phenomenon. But I’ve realized that just about anybody can get trapped in a fundamentalist mindset. Whether it’s gay rights, the atoning work of Jesus on the cross, abortion, climate change, or racial justice – all of our most cherished beliefs are susceptible to the snare of fundamentalism. No matter who you are or what you believe, you, too can be a fundamentalist! Fundamentalism isn’t a point of view; it’s not a particular belief, but rather a way of living with our convictions. A person is a fundamentalist, not because of their views, but because they hold them in ways that negate the basic dignity and humanity of others. The fire-and-brimstone religious zealot is one flavor of fundamentalist, but there are so many varieties! It doesn’t matter if you’re an über-conservative or a radical progressive; fundamentalism is a possibility for all of us. 1. The fundy mindset is concerned above all with being right. Winning is the top priority for the fundamentalist, not truth. So, watch out when scoring points and proving yourself begins to take precedence; it might be more your own ego than truth that you’re championing. 2. Fundamentalism is basically about being in control. When we’re caught in a fundamentalist mindset, we exclude, demonize, and remove from the conversation anyone who questions our basic assumptions. We may use words like love, reconciliation, justice, and safety, but the number one concern is our need to defend our air-tight worldview against anyone who threatens it. This can be any of us. And the beliefs that we defend can be good and true and right. Fundamentalists aren’t necessarily wrong about what they believe; they just fail to bear their convictions with love, humility, and tenderness. I’ve seen fundamentalism tear so many communities apart. Many times, fundamentalism has come under the banner of radical progressivism. Other times, it’s marched to the tune of that old time religion. Fear seems equally capable of infiltrating the left-wing and the right. Fundamentalism takes hold whenever we value our worldview more than the health and well-being of the people who are right in front of us. So how do we embrace the full strength of our convictions without lapsing into a fundamentalist mindset? What does it mean to believe fiercely, authentically, and whole-heartedly, without turning our worldview into an idol that takes precedence over the health and wholeness of our community? If there are those who argue that we can avoid the dangers of fundamentalism by being lukewarm, I’m not one of them. But what would it look like to embrace our most passionate beliefs with the full power of love, reaching out to those who disagree with us rather than shunning them? What does it mean to love our enemies, even the really dangerous ones who threaten our most primary convictions? Is the truth we profess strong enough to risk vulnerability? Instead, Jesus had the courage to trust completely in the truth that his Father gave him. He extended everything he had – even his own life – to those who wanted to destroy him. He trusted in the strength of his convictions so much, he didn’t have to defend anything. What would it be like to dwell in that kind of courage? How would it transform my relationships to live so fearlessly? What kind of love would I dare to show – to friends, to enemies, even to the fundamentalists? I’m Going to Be a Dad. Wait, What? So, we’re having a baby. Those of you who follow me on social media may already be aware of this. It’s all public at this point. Our due date (May 3rd!) is fast approaching, and he’ll be here before we know it. It’s a boy. I still can’t quite wrap my mind around the fact that a real baby boy is about to come into our lives. I know intellectually that this is going to change everything, but it’s hard to connect with it in my gut. It still feels unreal. I don’t want to make this whole thing even more theoretical by trying to write a thoughtful blog post about it. Fatherhood is probably one of the most theologized concepts out there, being one of our main metaphors for God, and all. But I’m not interested in going there. Becoming a father myself is almost unimaginable for me right now, two months out; I don’t want to further distance myself by withdrawing into theory. Still, I thought I should say something. You know, cause we’re friends. A lot of my deepest reflection happens in this dialogue I have with you, the readers of this blog. I want to bring this big change in my life into our conversation. I want to let you know that this is real. It’s personal. It’s scary, and I don’t know what’s going to happen. All the parents out there tell me it’s going to be alright. It’s going to be great! And I know you’re right. I know it in that same, intellectual way that I know I’m going to be a father soon. But I just can’t quite imagine it yet. Thanks for listening. I hope you’ll pray for me and Faith, and our families, as the due date gets closer and we try to wrap our minds around what this huge, joyous change is going to mean for our life together. This weekend, the Friends of Jesus Fellowship will be holding our Spring Gathering out in Barnesville, Ohio. We’re expecting our largest attendance ever – so much so that we’ve barely been able to house everyone! 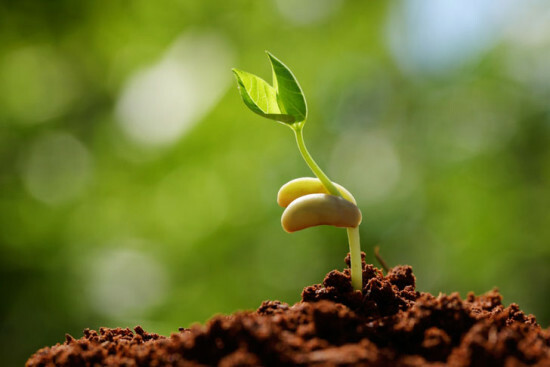 is like a grain of mustard seed, which, when sown on the ground, is the smallest of all the seeds on earth, yet when it is sown it grows up and becomes larger than all the garden plants and puts out large branches, so that the birds of the air can make nests in its shade. At our gathering this weekend, we’ll be exploring three seeds that, if allowed to sprout and blossom, can lead us into the reign of God on earth. The three seeds are spiritual gifts, leadings & callings, and kingdom work. Spiritual gifts are the foundation that God provides for everything that we do as a fellowship gathered in Jesus. The apostle Paul describes our community as being as being one body with many parts. Just as each part of the body has a specific function – the eyes for seeing, the tongue for tasting, and the feet for walking – each one of us has been given particular talents that we can use to strengthen the whole body. At the Spring Gathering, we’ll be exploring the gifts that God has given each of us. We know that these gifts are not simply given to the individual, but to the whole body, so we’ll be looking for how each one of us can use our gifts in ways that equip us for our shared work as Friends of Jesus. The second seed that we’re looking at this weekend is leadings and callings. Through leadings and calling, we sense God calling us to bless others in tangible ways. If spiritual gifts are the raw materials for God’s action in the world, leadings and callings are the blueprints for moving forward. One focus this weekend will be learning to identify the purpose that God is giving us for our lives. What is the vital work for each one of us, in our own context? What is the role that the Spirit is calling us to play in this time and culture? By slowing down and paying attention to the way that Christ speaks to each one of us, we’ll learn how to be more faithful to the specific ways that he calls us to follow him. Once we’ve identified our spiritual gifts, and the calling that God is putting on our lives, the only thing left is to put our faith into action. Kingdom work is what happens when we respond to God’s call on our lives, using our spiritual gifts to bless the world around us. This weekend, we’ll look at the specific forms that this work can take, and how we can carry it out in ways that are life-giving, sustainable, and in sync with the ways the Spirit is directing us. By the end of our time together, we hope that each of us will have connected with others who can support us in the particular type of service we are called to. It’s too late to sign up for this weekend’s gathering; registration closed a week ago, and we’re all out of beds! But we’d love to see you at our Fall Gathering. We’ll be in the New York City area over Labor Day Weekend (September 4-7). Can you join us? Make sure to save the date! In the meantime, I hope you’ll share about how you’ve discovered your gifts, calling, and gospel work. How is the Spirit equipping and leading you as a follower of Jesus? Have you found a community where you can develop these gifts and engage in this work with the support of others? Do you work out? Personally, I like to run. Going out with my dog Austin and jogging a few miles is a great way to keep in shape, brighten my mood, and wear the dog out so that he’s mellow and napping while I do my work. Running is really good for me, but I don’t always feel like doing it, especially when the weather outside is either frigid or roasting. I don’t have time today, I think to myself. I just don’t have the energy. The best thing I can do is get out there anyway. I’ve learned over the years that what I think I want is often not what I actually need. If I’m telling myself I don’t have the time, energy, or inclination to go running, that usually means that I need to exercise more than ever! If I get out there and put in my time on the road, I feel so much better. The exercise produces the energy I didn’t think I had. The kingdom of God is like that. At first glance, the way of Jesus can seem like a big distraction, a giant detour from the life I’ve planned out for myself. I’ve got my own priorities, which I expect will make me happy, healthy, and successful. I want life, liberty, and the pursuit of happiness! The only problem is, neither liberty nor happiness are outcomes that I can produce. In contrast to the claims of the Declaration of Independence, the gospel is not a promise of happiness. The good news of Jesus is rooted in the abandonment of my own desires, and the embrace of service to others. The way of the kingdom is the chance to be a community of people in recovery, practicing repentance and inviting Christ’s love into the world through our broken lives. The good news is not merely happiness for me; it is an invitation to discover a life of profound fulfillment as we participate in healing the world. The gospel of Jesus is a profoundly other-centered way of relating to the world, one which loves first and asks questions later. In contrast to the popular gospel of happiness, the good news of the kingdom means surrendering my own desires in order to be faithful to God’s loving intention for the cosmos. It means accepting this intention, living by it, even when I really have no idea where this path leads. This can be a hard sell. I’ve spent my entire life in a culture that presents personal satisfaction – happiness – as the highest good. Have it your way is an enticing motto, but ultimately a deceiving one. As many others have discovered, the more I eat of this Burger King gospel, the emptier I feel. When I seek to fulfill my own desire above all else, I find that desire has no end. The hunger becomes insatiable. In contrast to the unrelenting hunger of self-will, in Jesus I discover point of reference beyond myself who is faithful and true – a master who is more beautiful and loving than my own whims and desires. I’m presented with a choice: Who or what will be my master? Will I serve the loving intelligence who creates and sustains the cosmos? Or will I bind myself to systems of reward and punishment – the carrot and stick of human motivation? In spite of everything I have learned, I’m still tempted to choose my own restless hunger over the nourishment of Christ’s kingdom. The false gospels of our culture continue to lure me in, because they offer the illusion of control, predictability, safety. I can pretend that I am in charge. One hallmark of God’s presence and power is that he offers no guaranteed outcomes – only love, and the promise that all things will be made new. Jesus offers me a vision of a world transformed, a living alternative to the deadness of the status quo. But I have to admit that I’m not running the show. Despite the challenge to my ego, I am convinced that this gospel is worth embracing. It’s good news precisely because it does not give me what I think I want – prosperity, security, and comfort in the eyes of the world. Instead, it is the hard decision to go running in the midst of winter. I push myself out the front door, not because I love the cold, discomfort, or interruption of my daily routine, but because I trust that there is fulfillment that lies on the other side of sacrifice. How about you? Are you ready to suit up?